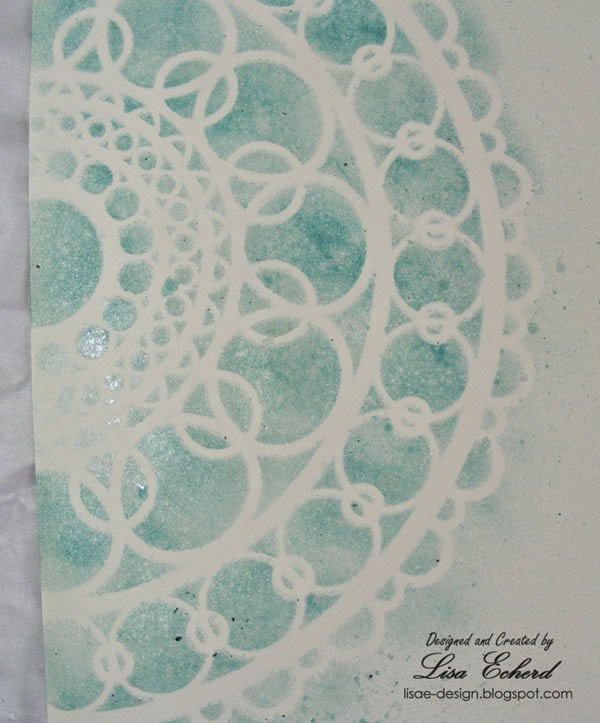 Three mists, two stencils and such a fun background to create. I love seeing the colors come through. 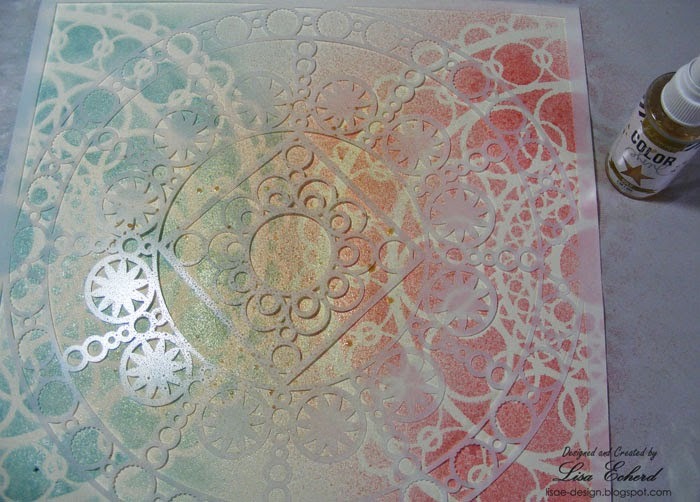 This background starts with Crafter's Workshop Ring Doily stencil and a plain piece of ivory cardstock from Hobby Lobby. I did not film this one, but have lots of process photos. 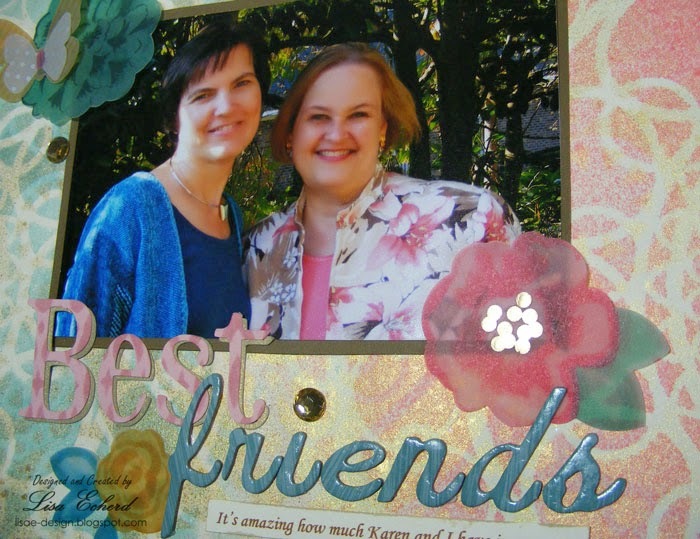 The layout photo I'm using is of my best friend Karen and me. I wanted to convey how we have some differences yet still see so many things the same way. Starting with the left side of the layout, I applied some ink over my stencil to start. The mist I will be using is fairly light and I needed a stronger depth of color. 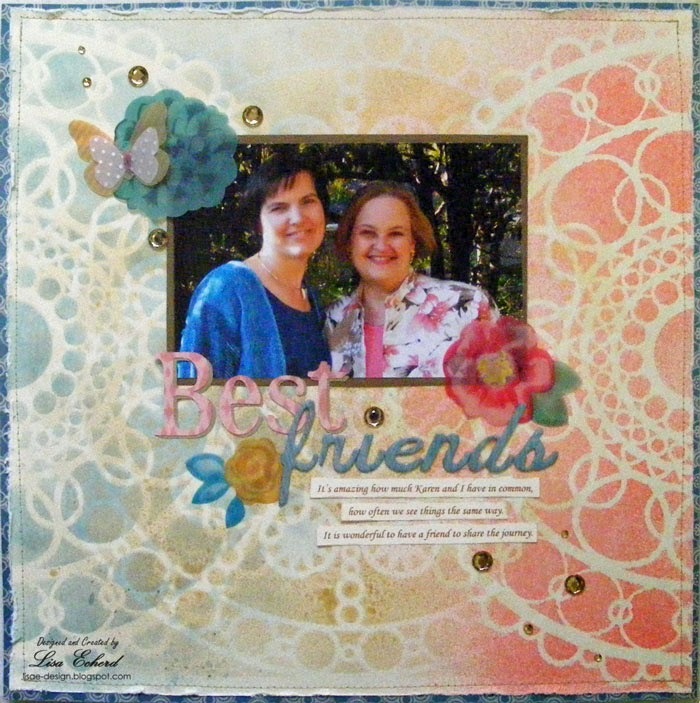 A layer of Stampin' Up! 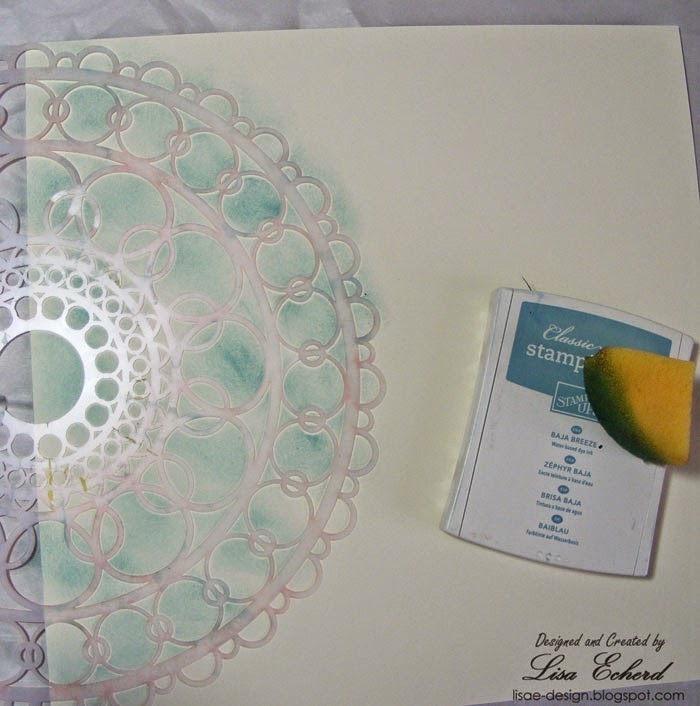 Baja Breeze ink adds color and then an overspray of mist blends the color and adds shine. Here is the left side of the layout after misting. 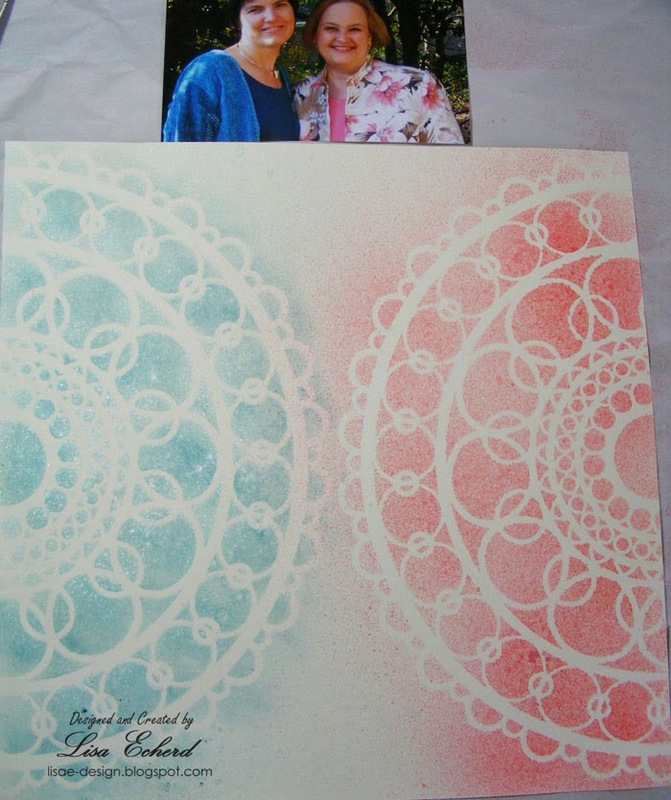 Next I used the same Ring Doily stencil on the right side with Mary Mary mist from Studio Calico. 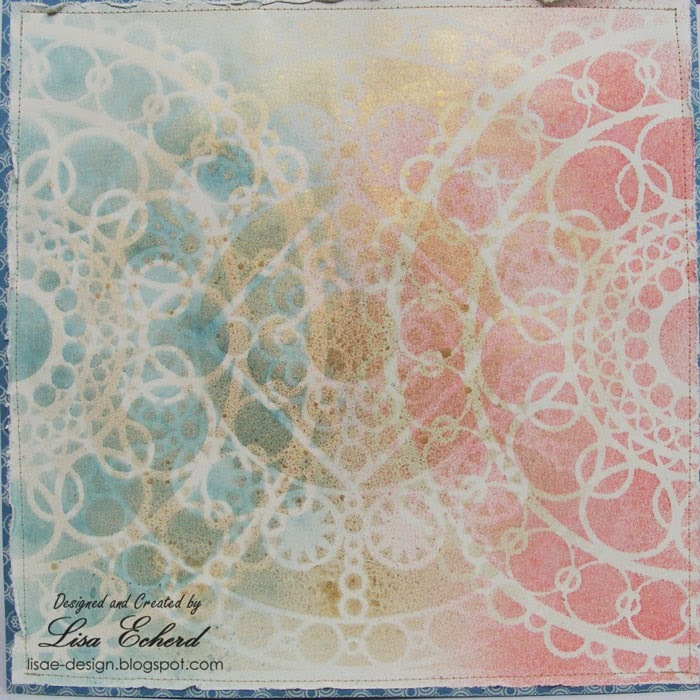 For the last misted layer, I switched to the Crafter's Workshop Byzantine stencil and gold Heidi Swapp Colorshine. After everything was very dry, I trimmed down and distressed the edges of the ivory cardstock. I've sewn it to some pattern paper for a little bit of color on the edge and for stability. For the word "Best," I stenciled my cardstock before cutting with the Navajo stencil and some Victorian Velvet distress ink. It just adds a little more interest to the letters cut with the Cricut. The rest of the page has some Maggie Holmes vellum pieces for Crate Paper and some gold rhinestones I picked up at Hobby Lobby in the jewelry department. I think the background gives this great photo taken by Karen's husband a pretty palette. Love this layout. The misting is so pretty. I haven't done a layout with my best friend, I need to do one. Thanks Lisa. Just gorgeous! The colors are perfect. It just feels so feminine. A perfect page for you and your best friend. So what if you don't have a photo? Guess what the Easter bunny brought? April Theme - Stop Saving and Start Scrapping!